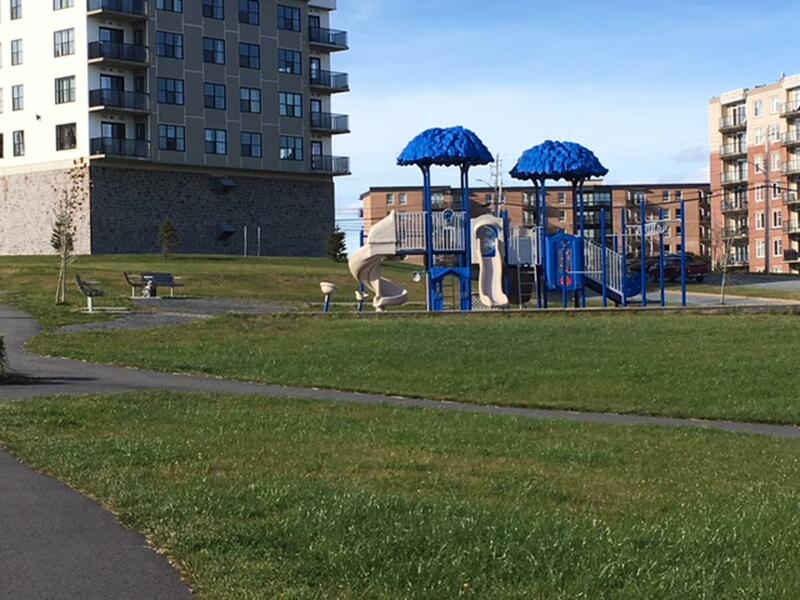 Mount Royale Park involved numerous elements across a 2-acre site located in the HRM. Crucial to this project was drainage and erosion control, while meeting design specifications, and maintaining overall esthetic appeal. 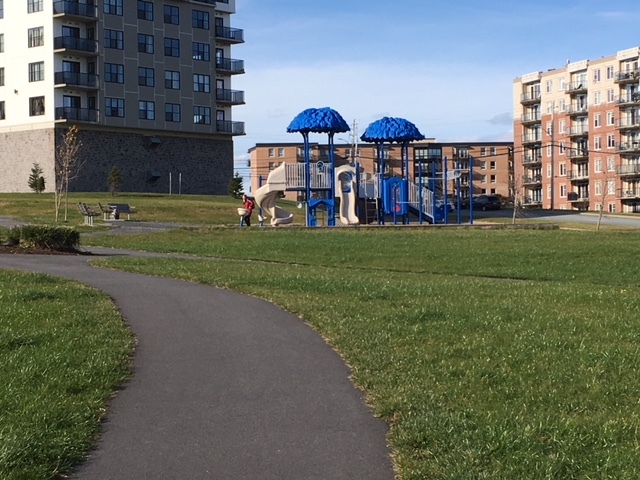 Mass earthwork and precision grading were a priority to blend with existing landscape given the size of the overall site. Landscape design involved a cohesive combination berms, swales, culverts, and headwalls. Play area included timber perimeter edging. 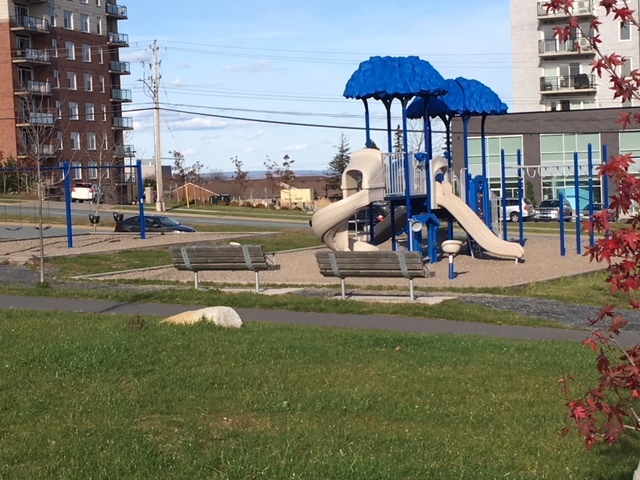 Installation of accessible walking trail across the entire site. 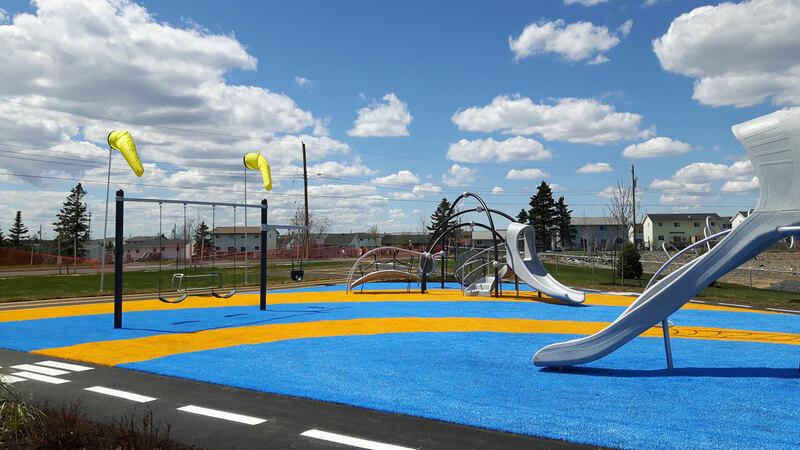 Installation of all site furnishings and playground equipment to meet specifications. Sod and topsoil installation to facilitate adequate rootzone establishment.